Check out all of our 2009 NFL team previews. Offseason Additions: Julian Peterson (LB); Larry Foote (LB); Phillip Buchanon (CB); Grady Jackson (DT); Bryant Johnson (WR). 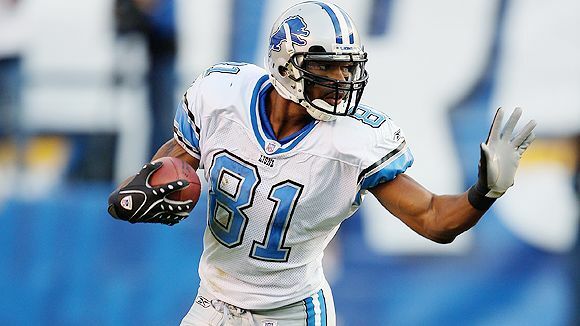 Offseason Losses: Leigh Bodden (CB); Shaun McDonald (WR); Mike Fuerry (WR); Shaun Cody (DT); Paris Lenon (LB); George Foster (OT); Dan Orlovsky (QB). Player to Watch: Louis Delmas, S.
Delmas, the Lions’ second round pick this year, immediately started turning heads in OTAs and continued to impress coaches with his aggressiveness and tenacity throughout training camp (although he did miss time due to a swollen knee). The former Western Michigan product is already drawing comparisons to the Colts’ Bob Sanders, which is quite a compliment considering how accomplished Sanders is. Delmas isn’t afraid of contact and flies to the football. While he needs to develop his pass coverage skills, he might lead the Lions in tackles this season. Team Strength: There isn’t one positional unit on this team that can be deemed a strength, although wide receiver Calvin Johnson is so good that he can probably carry the moniker on his own. Johnson is a phenomenal athlete and gives the Lions’ offense a dynamic playmaker at receiver. Opposing teams try to blanket him in coverage and he still finds ways to get open and come away with the ball. As long as he stays healthy (he missed two weeks of training camp with a sprained thumb), CJ is in store for another monster season, no matter whom the Lions wind up starting at quarterback. Potential Weakness: Where to start? As of this writing, the Lions have yet to name a starter at quarterback, but whether it’s Daunte Culpepper or Matthew Stafford, neither is going to have much time to throw. Detroit has the worst offensive line in the league and new GM Martin Mayhew didn’t do anything in the offseason to remedy that. Although Mayhew added some quality pieces by drafting Delmas, trading for former Seahawks linebacker Julian Peterson and signing free agents Larry Foote, Phillip Buchanon and Grady Jackson, the defense still has a ton of holes. Outlook: While they’ve certainly improved from their 0-16 season, the Lions still have a long way to go. Even if Culpepper finds the fountain of youth or Stafford is the next Matt Ryan or Joe Flacco, the offensive line is brutal and will yield plenty of sacks. Defensively, Mayhew dramatically upgraded the linebacker corps, but the front four and secondary are still massive weaknesses. Outside of defensive end Dewayne White, who will rush the passer? New defensive coordinator Gunther Cunningham can’t send his linebackers every down hoping to generate a pass rush, because that means there will be fewer defenders in coverage to help a suspect secondary. The Lions are certainly more talented than they were a year ago with the additions of Stafford, Peterson, Foote, Jackson, Buchanon, Delmas and Brandon Pettigrew. New head coach Jim Schwartz should also get this team to play harder and players like Johnson and running back Kevin Smith will continue to develop. But the bottom line is that this team is still a major work in progress and it would be a shock if the Lions finished anywhere but fourth in the NFC North this season. 2009 Prediction: Fourth, NFC North. Will Stafford start for Lions in Week 1? Did the Lions pass on a linebacker because of Larry Foote? They have to be relieved that Stafford finally looked good in a preseason games. Do you think he starts in game one, or do they wait a while? G – that’s the million dollar question right there. If I had to make a prediction right now, I would say that the Lions will go with Culpepper to start Week 1. If he struggles after a couple of weeks, they won’t hesitate putting Stafford in as fans start to get restless. And Stafford actually looked good in Detroit’s preseason opener. It was only the second game that he struggled, so maybe the job will come down to the fourth game, although one would have to think that the coaching staff already has an idea of who they’re going with for Week 1.